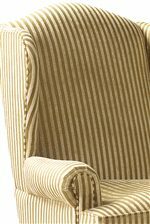 Accent chairs are a premier source of bold styled elegance in the most high-fashion of living rooms. Popular for their grand designs combined with their convenient elegance, chairs like this add a sophisticated culture to your home. Featuring traditional styled wings with rolled arms and welt cord trim, this chair is brimming with fashion from its camel back top to its exposed wood feet. A gorgeous addition to nearly any style of living room, this chair can be purchased with or without its corresponding ottoman. 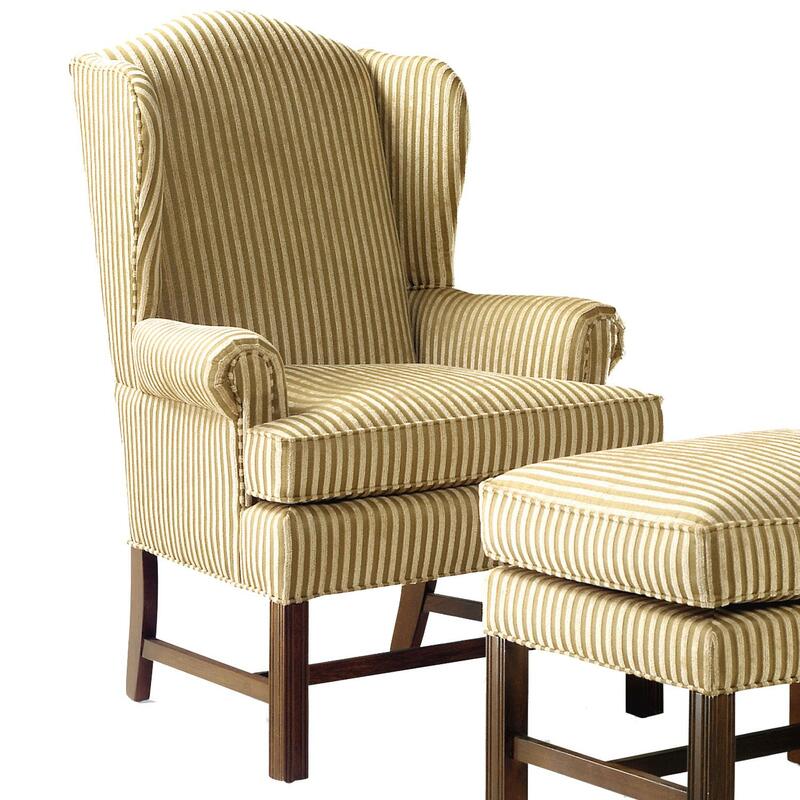 The 1072 Upholstered Wing Chair with High Exposed Wood Leg by Fairfield at Lindy's Furniture Company in the Hickory, Connelly Springs, Morganton, Lenoir area. Product availability may vary. Contact us for the most current availability on this product. 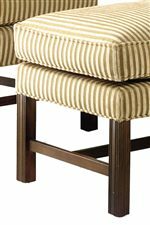 This chair and ottoman set features a flowing design with rich wood accents and plush upholstered curvatures. An elegant collection to combine with traditional and antique styled homes, this two piece set will soon become a dynamic accent to your home. The 1072 collection is a great option if you are looking for Traditional furniture in the Hickory, Connelly Springs, Morganton, Lenoir area.